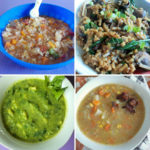 Welcome back to the seventh update of the 12-Month Produce Challenge! We might be more than halfway done with this year-long challenge, but that shouldn’t stop you from jumping right in if you’re late to the party! All the “rules” for the challenge can be found in THIS post. Just return here when you understand what you need to do and find out the vegetable of the month for August. 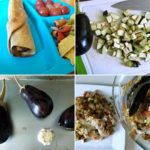 I wanted to do this challenge with my family in the first place because I felt like we were stuck in a rut, eating the same vegetables over and over again. After completing 7 months of the challenge now, I feel like I’m doing a much better job at giving my family the variety we all need for optimal health. 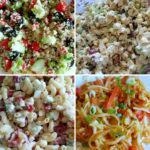 I also wanted to do this challenge so we could learn to eat in season as well as discover new ways to enjoy foods that we aren’t too keen on eating. In July we focused on eating more radishes. I’ve never been a real fan of these round, red veggies, but I can honestly say they are a whole lot more tolerable now! This month, my family and I ate 7 different meals with radishes in them, including avocado toast, pasta, egg salad sandwiches, and more. The first time I decided to try a radish was probably just a little more than 5 years ago. I was actually surprised that it didn’t taste like much. It was sliced really thin. I realized it wasn’t bad, but I didn’t want to go out and buy all the radishes in sight and eat them all. 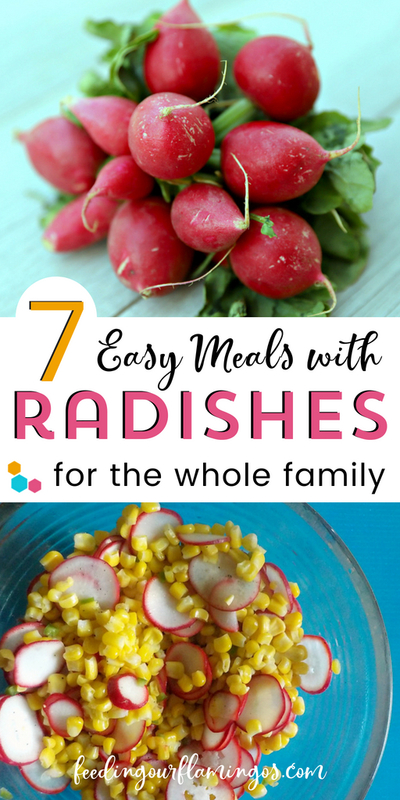 I chose radishes for July so I could find new ways to eat them and give my kids opportunities to try them as well. I was never forced to try a radish when I was a kid (which is probably a good thing since I would be even less likely to try them now). I know my mom used to eat them on her salads, but I just avoided them thinking they might just eat me! In all seriousness, though, I just need to get over my childhood “fears” of this nutritious veggie. Radishes are quite easy to add to your diet. We ate them 7 times this month and, I have to say, I was pleasantly surprised at how good each meal was. These Radish and Egg Salad Sandwiches are such a simple, yet genius, way to add radishes to your diet. I’d say this particular recipe is an “adult” egg salad sandwich because it’s much more healthy and sophisticated than the humble egg salad sandwich I grew up eating. I used half plain yogurt and half mayo. My 1 year old picked the egg off the bread, which was so strange because he loves bread. And my girls spent the first 5-10 minutes of dinner refusing to eat their sandwiches. They finally decided they would try it and both ate about half. My husband, on the other hand, really enjoyed this sandwich. I liked it, too, but I did feel like it was missing something (I think I was comparing it to my normal egg salad sandwich, which is sweeter). 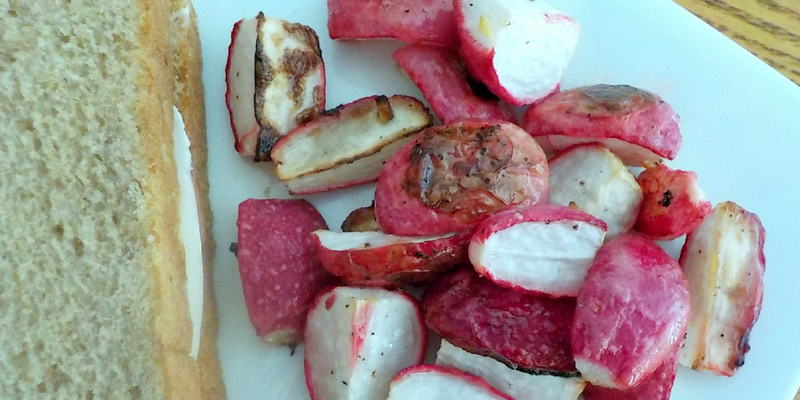 These Crispy Roasted Garlic Radishes are so easy to prepare (I made them twice this month!). 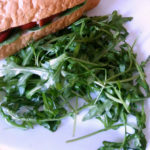 I paired them with sandwiches and smoothies for a very simple, yet nutritious meal. Normally, I try to avoid roasting veggies in the middle of the summer, but radishes are kind of an exception. I wasn’t expecting quite an enthusiastic response from my kids. My middle child just loved these. My husband was gone both times I made them, but I am sure he’d probably like them, too. And I really like eating radishes roasted. 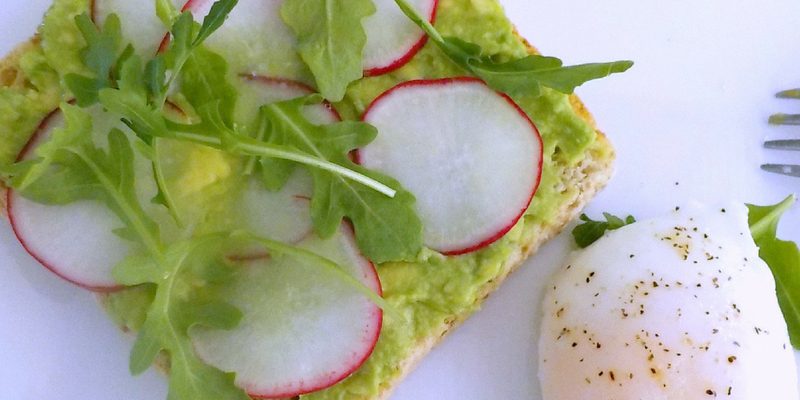 These Springtime Avocado and Radish Toasts are a must try. I went ahead and served them with poached eggs and arugula and left off the sprouts (since I couldn’t find them at the store). I have made avocado toast for my family before (back when we tried arugula), so I knew it may not go over well. My kids are strange. They don’t really like avocado. So instead of assembling their avocado toast for them, I put the individual ingredients on their plates and let them decide what to do. Only after about 3 or 4 minutes, my oldest was turning it into a competition. She and her younger sister were decorating their own toasts and I was going to judge them for how pretty they were. I thought it would end there, but they actually both tried the toast and one of them ended up eating all of hers. I didn’t tell them they had to eat it or even taste it. I just gave them the freedom to explore their food in their own way. It’s not summer without corn, am I right? 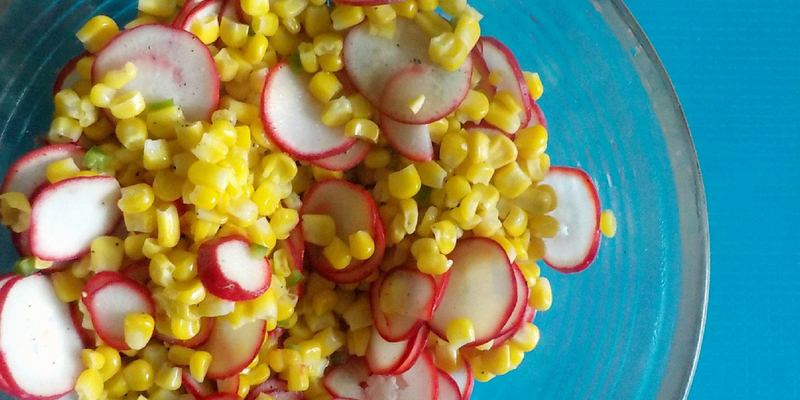 I made this Sweet Corn Salad with Radishes, Jalapeno, and Lime to go with our BBQ one warm evening this month, and it was perfect. I prepped the chicken ahead of time and my husband made his hamburgers, so I only had to make this salad and the tomato onion salad right before we ate. We also had watermelon as dessert. I got a thumbs up from one of my kids, but then she only ended up eating about two bites. The other two kids didn’t really touch it because they were all over the meat. Luckily I got some good feedback from my sister-in-law and mother-in-law, so I’m not the only one who liked it. My husband said it was good as well. I made this Radish Greens Pesto when I was home alone. My husband was working and my kids were all at my parent’s house. I thought it would take just 5 mintues to make, but because you have to wash the radish greens thoroughly, it took me about 25 minutes instead. I did take my time because I was enjoying the cooking process, but when I make this again I will be sure to make the pesto ahead of time. 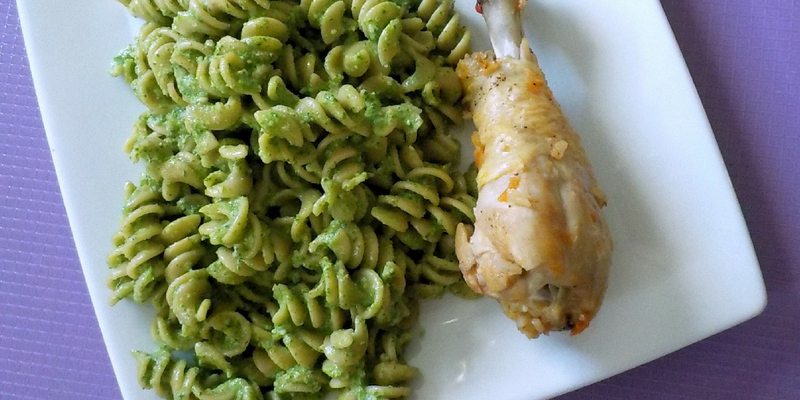 I used the pesto for pesto pasta, and I ate it with leftover chicken drumsticks. My kids didn’t try this, but my husband did and he loved it. If you need a cheap alternative to regular pesto, this is definitely it. I didn’t try basil pesto next to this pesto, but I think the taste difference would be minimal. 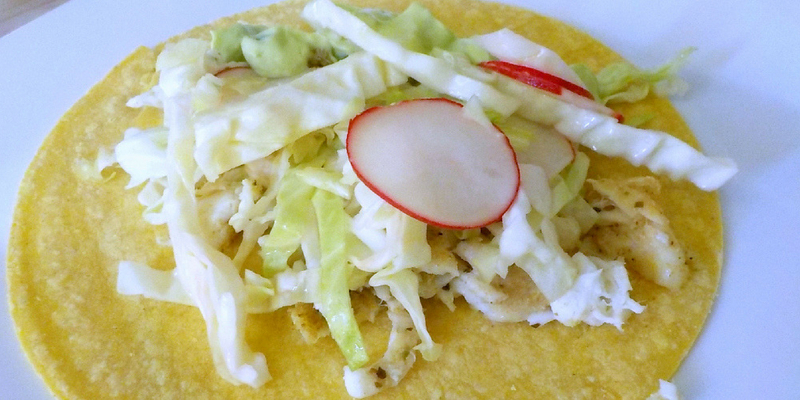 When I saw these Broiled Tilapia Tacos, I knew I had to make them for the radish challenge. We don’t eat fish very often due to the fact that it’s not very cheap where I live (#landlocked). I don’t mind putting fresh fish on the menu once or twice a month, and these did not disappoint. I timed how long it took me to make these from start to finish and it was right around 33 minutes. However, if I had just done a few simple tasks the morning of or the day before, it would’ve cut the time in half, for sure. While you do have to turn on the oven to cook the fish, these tacos still make a great summer meal because they are simple and easy. You can easily make a smoothie or serve some fruit alongside the tacos. My kids were not totally on board with this meal. Two of my kids loved the fish but left the rest of the meal almost untouched. The other kid just refused to eat it. But my husband and I were loving these tacos! The fish makes it amazing, of course, but the avocado sauce and quick slaw bring the right flavors and textures to round the tacos out. 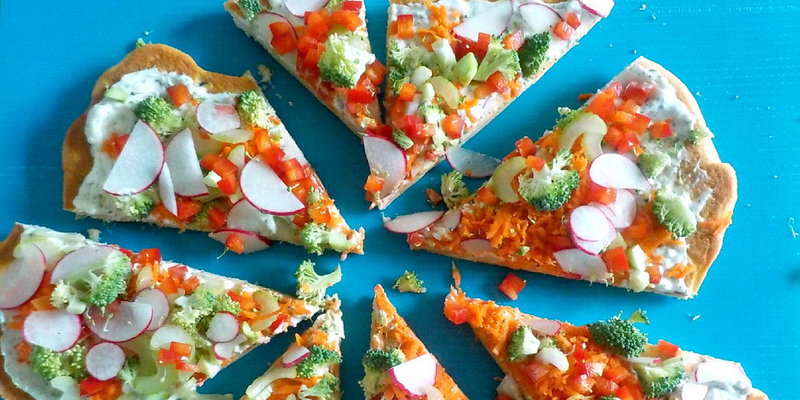 I have never had any real desire to make veggie pizza until this month. And this particular Veggie Pizza recipe did not disappoint (at least some members of the family. I’ll get to that in a minute.). I cut the recipe in half, only because I wasn’t sure how my family would like it. We are a mostly dairy-free family now, but I made this pizza anyway, despite the fact that it has lots of dairy in the sauce. I loved that the crust was an easy store-bought crescent roll. 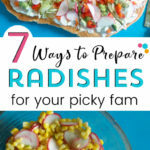 How Much Do Radishes Cost? Radishes are quite cheap. They are sold in a bunch and have about 6-10 radishes in each one. Radishes ranged in price from $0.78-$0.98 per bunch where I live (in July). I spent a total of $5.77 on radishes in July or about $0.82 per meal (there were 7 meals). At the grocery store, be sure you inspect your radishes before you buy them, checking for cracks and blemishes. The greens should be bright green and fresh looking. If they are wilting already, don’t buy them. The large ones might be too pungent for anyone who has never tried a radish, so try to get radishes that are on the small side. When you bring home your radishes, you will want to separate the green tops from the radishes as soon as possible. The greens can start to wilt quickly and get all slimey all over your radishes (ask me how I know). I’ve found that when I do cut off the greens and wash the radishes they last longer than when I store them as is with the green tops still intact. 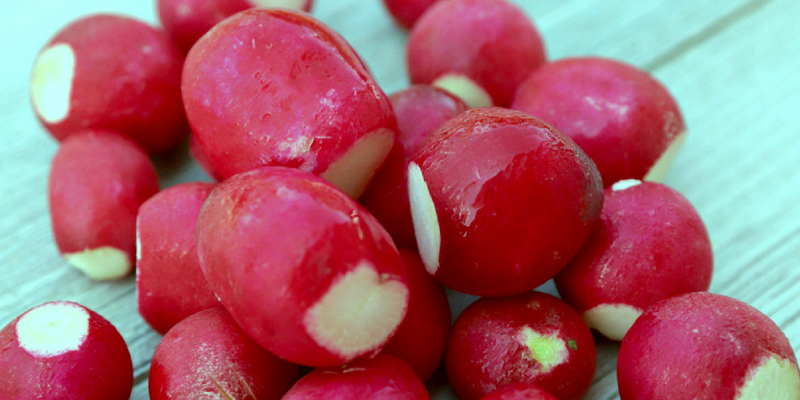 To store radishes, remove the greens and cut off the stems and roots on each radish. Then wash them, pop them into a plastic bag, and add some paper towels. Let the air out of the bag and seal it. They should keep for at least a week this way, if not longer. As you may have already seen above, the radish greens are great for making pesto, but you can also roast them and use them in soup! To prepare radishes, you can keep them whole, cut them into half or quarters, or slice them. You can also serve them raw or roasted. 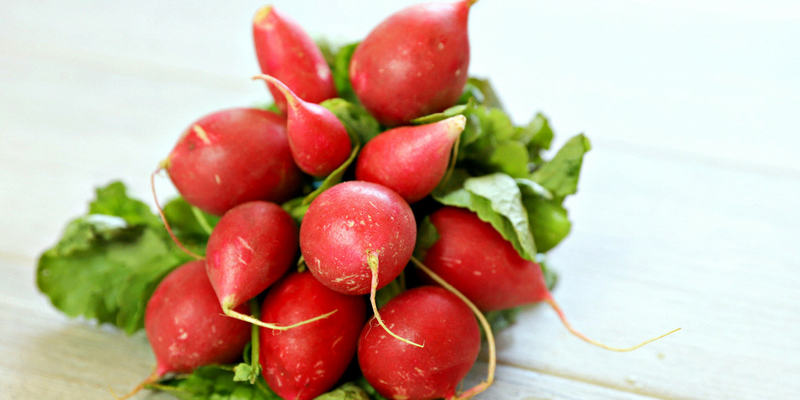 Radishes have several health benefits. They are a great source of Vitamin C, which can help with arthritis symptoms, and they have plenty of fiber to help keep you regular. For even more benefits, check out this thorough article on Dr. Axe. We’re about to wrap up with the summer veggies in August. We’ve tried green onions and radishes and now summer squash will be the last one. 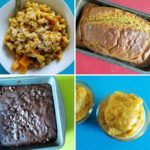 Summer squash includes zucchini, yellow squash, and others, so go crazy if you’d like! 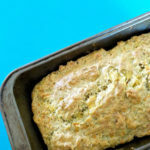 I will probably use mostly yellow squash and zucchini since those are the common varieties at the grocery store.